A fitted valance sheet combines your fitted sheet with an added valance frill. The sheet fits over your Small Double mattress and the frill drops around the divan base making it easy to fit and easy to change when it comes to laundry time. 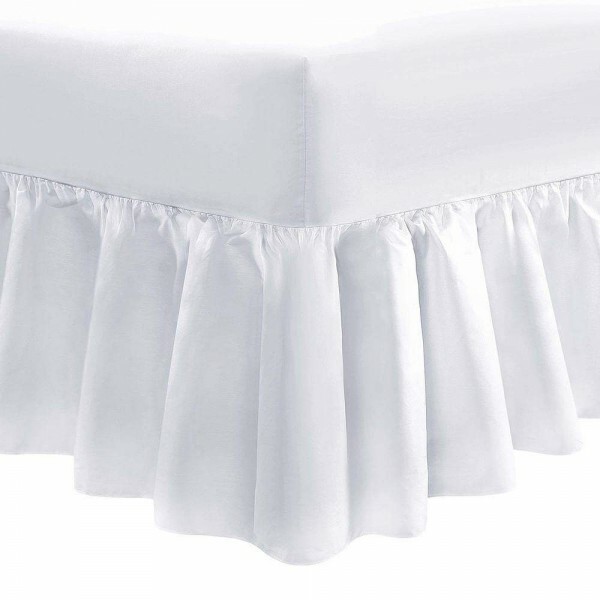 To fit any Small Double mattress depth and frill drop. We cut the cotton from the roll and make your valance to order in our UK workshop, this way we can make to any mattress depth and frill drop.